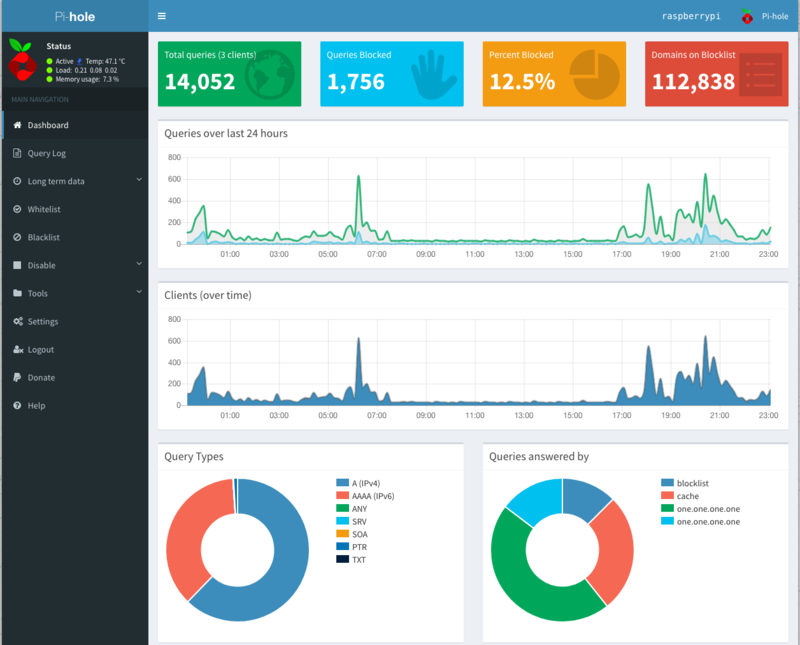 The Pi-Hole has been running for 1 month now on my home network. I have had to whitelist 1 or 2 URLs which was blocking a reset of an Alexa which had an issue, and a video conferencing system had all sorts of tracking and metrics built in which were causing some havoc until I whitelisted them. Otherwise, the Pi has been chugging along at 8% memory utilization, and the network is considerably faster when surfing the web. This entry was posted in Computer, DNS, Murmuring, Network, Privacy, Security, Service, Software and tagged ad, block, dns, hole, malware, network, pi, project, raspberry, tracking on April 16, 2019 by Gea-Suan Lin. I checked the DNS logs and found the exact date and time when the Pi was first seen in the network. I checked the RADIUS logs to see which employee was at the premises at that time and I saw multiple error messages that a deactivated account tried to connect to wifi. That deactivated account belongs to an ex employee who (for some reason) made a deal with management that he could still have a key for a few months until he moved all his stuff out of the building (don't ask..). 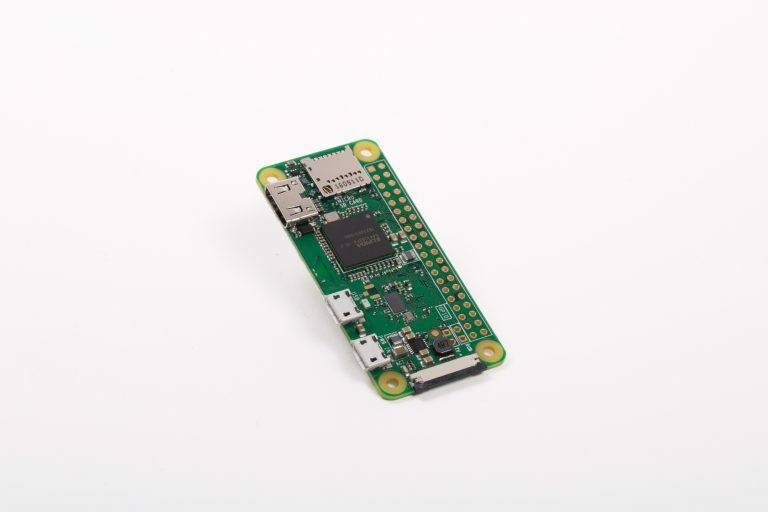 This entry was posted in Computer, Hardware, Murmuring, Network, Security and tagged card, dns, network, office, pi, radius, raspberry, rpi, sd, security, wifi, wigle, wireless on January 17, 2019 by Gea-Suan Lin. 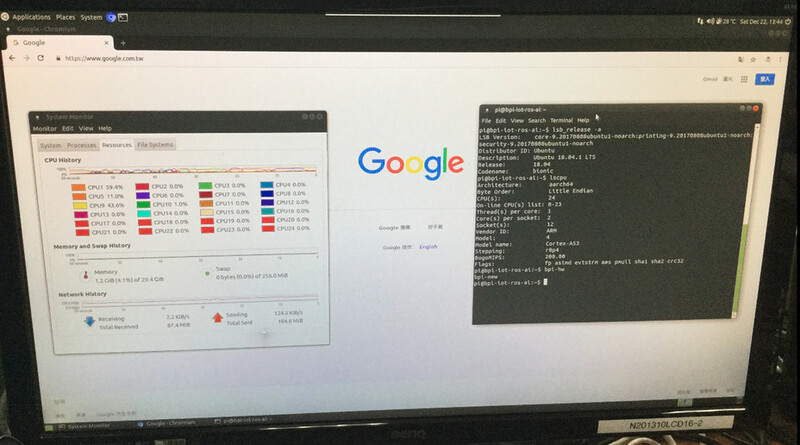 We have 24-core Arm Cortex A53 processor with 32GB RAM (29.4GB seen by the OS) running Ubuntu 18.04.1 LTS with MATE desktop. There aren’t that many 24-core Arm Cortex A53 processors, so unless the company is using an announced processor, it has to be SocioNext SC2A11 processor also found in Linaro Developer Box. This entry was posted in Computer, Hardware, Murmuring and tagged a53, arm, banana, cortex, hardware, pi, server on December 27, 2018 by Gea-Suan Lin. 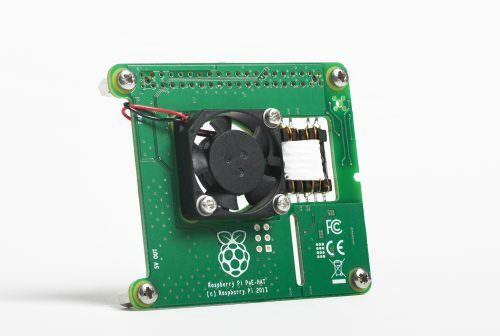 This entry was posted in Computer, Hardware, Murmuring and tagged fan, gpio, pi, raspberry, temperature on August 14, 2018 by Gea-Suan Lin. This entry was posted in Computer, Hardware, Murmuring and tagged boot, cpu, fan, hardware, model, network, performance, pi, poe, power, pxe, raspberry, speed, supply, wire, wireless on March 16, 2018 by Gea-Suan Lin. This entry was posted in Computer, Hardware, Murmuring, Network, Science and tagged glonass, gps, microsoft, network, ntp, pi, raspberry, service, time, windows on April 4, 2017 by Gea-Suan Lin. This entry was posted in Computer, Murmuring, Programming, Science and tagged bailey, base, binary, borwein, digit, formula, mathematics, pi, plouffe on March 4, 2017 by Gea-Suan Lin. 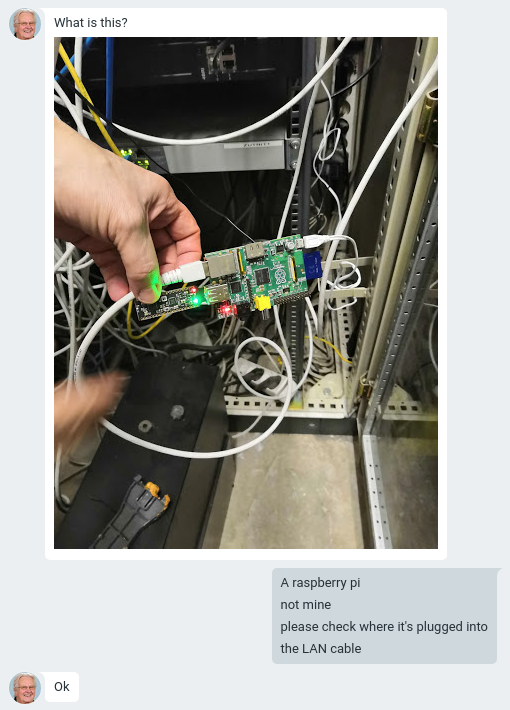 This entry was posted in Computer, Hardware, Murmuring, Network and tagged bluetooth, iot, pi, raspberry, w, wireless, zero on March 1, 2017 by Gea-Suan Lin. For now, the Pi 3 device tree is empty with only the comment "initial empty repository" accompanying it. The repository should soon start to fill with code, though. 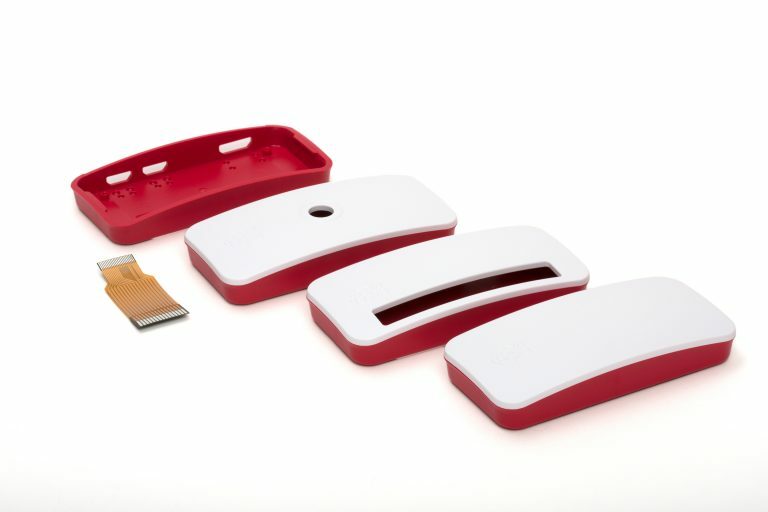 This entry was posted in Computer, Hardware, Murmuring, Software and tagged android, aosp, google, open, pi, project, raspberry, repository, source on May 28, 2016 by Gea-Suan Lin. For JPL's highest accuracy calculations, which are for interplanetary navigation, we use 3.141592653589793. The most distant spacecraft from Earth is Voyager 1. It is about 12.5 billion miles away. It turns out that our calculated circumference of the 25 billion mile diameter circle would be wrong by 1.5 inches. Think about that. We have a circle more than 78 billion miles around, and our calculation of that distance would be off by perhaps less than the length of your little finger. This entry was posted in Computer, Murmuring, Programming, Science and tagged accuracy, decimal, digit, jpl, nasa, pi on March 22, 2016 by Gea-Suan Lin.